A holiday season is always approaching — so anytime is a fine time for another edition of It’s a Wonderful Life, Frank Capra’s enduring 1946 holiday film classic starring James Stewart (Mr. Smith Goes To Washington), Donna Reed (From Here to Eternity), Lionel Barrymore (Key Largo), Thomas Mitchell (Three Wise Fools) and Henry Travers (The Bells of St. Mary’s). The studio’s two-disc Blu-ray Shadow Box Gift Set is packaged in a shadow box and contains a two-disc Collector’s Edition Blu-ray with both a colorized version of the film in high-definition (yuck…) and the original, digitally remastered black-and-white movie in high definition (yay!). 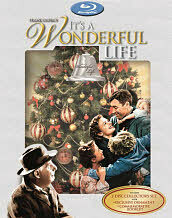 The family movie, of course, concerns frustrated businessman George Bailey (Stewart), who’s contemplating suicide on Christmas Eve, but is shown by an angel what the life of his family and town would have been if he had never been born. Oh, and the set also contains an exclusive bell ornament and a commemorative booklet. Nice! 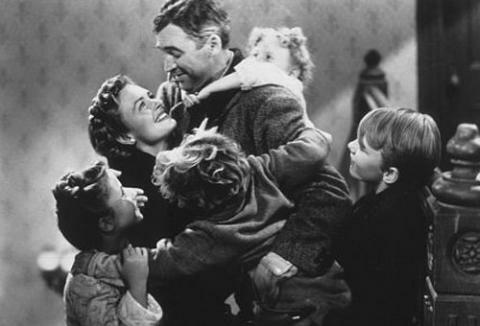 It’s a Wonderful Life was crowned the No. 1 movie in the Disc Dish Christmas Movie Advent Calendar.